Daily Mercury, September 8, 2017, Moranbah, Queensland, Australia. Then exactly one month later on Saturday, October 7th, 2017, northwest of Moranbah in the popular tourist city of Cairns near the Great Barrier Reef, that tropical beach town joined the long list of places on the Earth since 2011, that have experienced the sky suddenly filled with a bright flash of light, followed by a mysterious loud explosive boom. The Cairns Post, October 8, 2017, Cairns, Queensland, Australia. That’s what many Cairns residents experienced around 11:15 PM local time on Saturday night, October 7th, only three weeks ago. 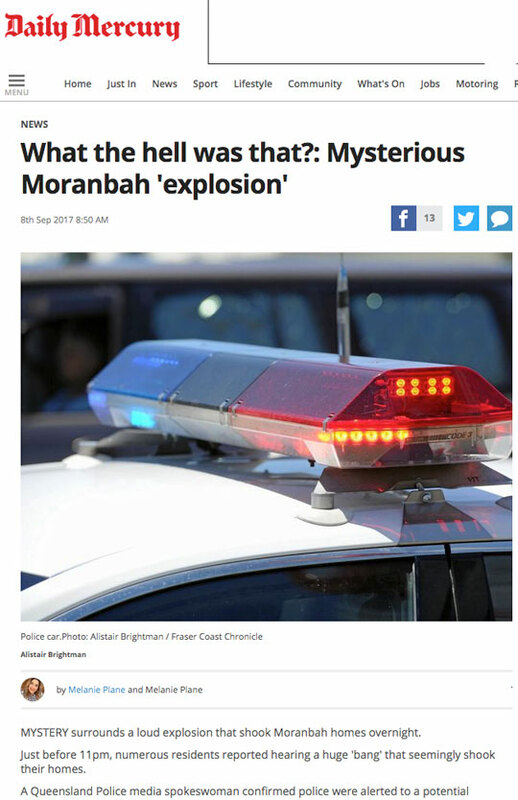 That’s when residents started calling the police about the sound of a huge bomb going off at the same time as a bright flash of white light filled the night sky. 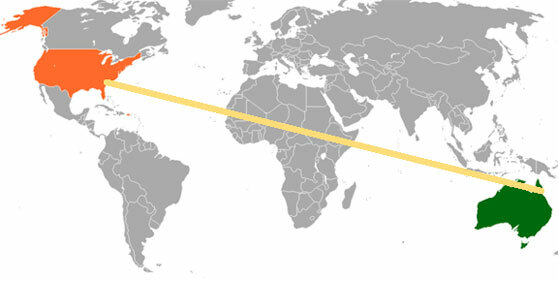 From Cairns on the Coral Sea of Queensland, Australia (lower right), the yellow line begins and extends for 9,328 miles northwest across the equator into the Northern Hemisphere and ends at Winston-Salem, North Carolina. When it’s 11:15 PM on Saturday night, October 7, 2017, in Cairns, it is 10:15 AM Eastern on Saturday morning, October 7, 2017, in Winston-Salem, NC. At that exact moment in the Northern Hemisphere in Winston-Salem, North Carolina, it was 9:15 AM East Coast time on Saturday morning, October 7th — fourteen hours behind Cairns. What no one expected was that by Saturday night in North Carolina at 10:45 PM Eastern — another mysterious, unexplained boom would happen. 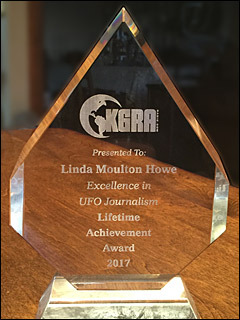 I have filed more than 100 reports at my news website, Earthfiles.com, since 2011 about unexplained booms and sky flashes around the world. But rarely has the mysterious boom phenomenon been reported within hours in both hemispheres! In Cairns, the massive boom on Saturday night there around 11:15 PM local time was heard from Kewarra Beach, a northern suburb, to several miles south in Edmonton, a suburb of downtown Cairns. 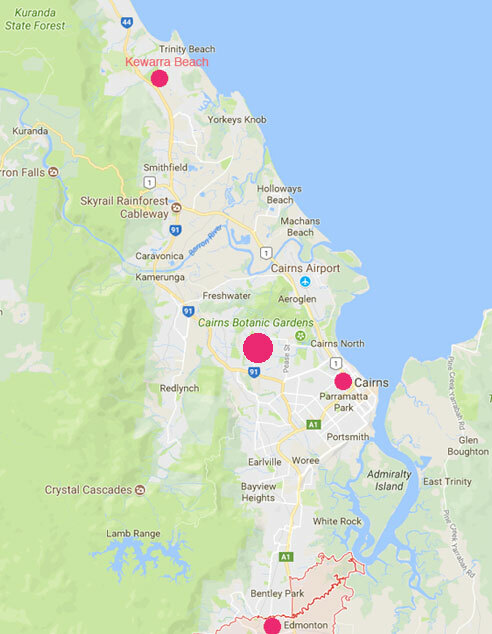 The larger red circle in the map below is where most of the eyewitnesses to a bright sky flash a second before the boom were reported in and around the Manoora suburb, according to researcher Zane Cosgrove. The massive boom experienced at 11:15 PM local time in Cairns on Saturday night, October 7, 2017, was heard from Kewarra Beach, a northern suburb, to several miles south in Edmonton, a suburb of downtown Cairns. 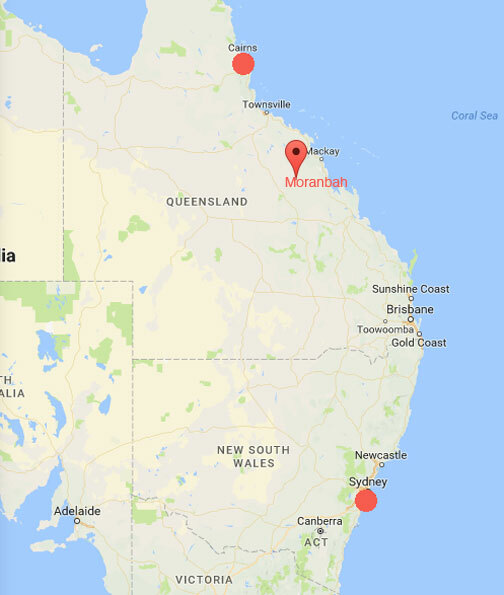 The larger red circle in the map below is where most of the eyewitnesses to a bright sky flash a second before the boom were reported in and around the Manoora suburb, according to researcher Zane Cosgrove. Email with map below on October 17, 2017, from Zane Cosgrove, a resident of Cairns, who said he witnessed the boom noise at 11:25 PM (others said 11:15 PM) Saturday night, October 7, 2017: “The boom could be described as similar to the sound when a car crashes into a power pole and explodes on impact, except there was only one singular boom lasting about 5 seconds. Please find below the map I created based off reports from people in the community regarding hearing the sound and sighting a bright flash of light. The yellow marking indicates the range where reports came in from people either hearing the sound or seeing a white flash of light just before it. The red indicates a little huddle of reports coming from many people suggesting it was around that local area specifically. This would be about 75% of the reports. 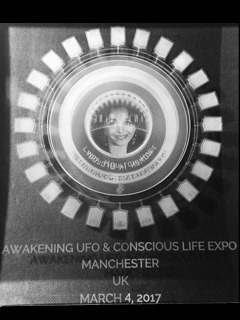 I myself suspect it came from slightly different area just based on where the sound came from in my location. However, the mountains could cause an echo effect in a way so I also included them into the map for you. Zane Cosgrove map: “Each blue arrow roughly indicates the direction the people claim the light was coming from, but they say it was a ‘ground-level’ event. The Jensen Street park was claimed to have a gas bottle exploded. 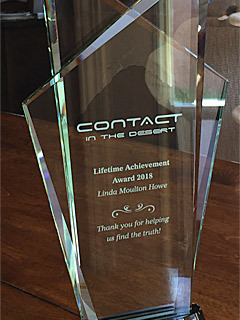 However, I checked this park and there was no evidence of a gas bottle, shrapnel, explosion or any burn marks.” One meteorite suggestion was dismissed by renowned local astronomer and astrobiologist John Romanov for lack of evidence. I have talked with one Cairns, Australia, resident about what she and her son experienced at 11:15 PM on Saturday, October 7th, and I have also interviewed in the United States a Lieutenant in the Winston-Salem Police Department, who investigated the massive, house-shaking boom that occurred there on Saturday, October 7th, at 10:45 PM — 14 hours after the mysterious boom and light flash in Cairns. In chronological order, I’ll begin with an Australian earwitness, who is a 40-year-old mother. She asked that I only use her first name, “Rebecca.” She and her teenage son were both home in the Manoora suburb on the west side of downtown Cairns on Saturday night, October 7th. 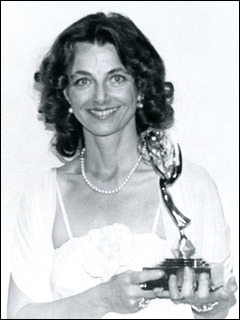 Rebecca was downstairs watching TV and her son was in his room on the second floor near an upstairs window. 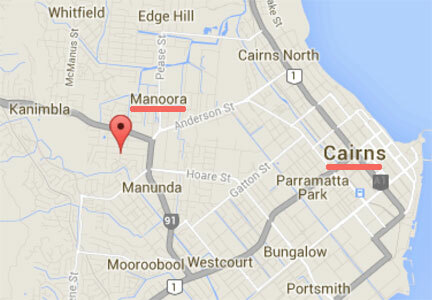 The Manoora suburb is a couple of miles northwest of downtown Cairns on the Coral Sea of Queensland, Australia. Rebecca, 40, single mother with teenage son, Manoora suburb of Cairns, Queensland, Australia, describing 11:15 PM, Saturday, October 7, 2017, phenomenon: “I was sitting watching TV and we heard a massive BOOM! Just one singular BOOM! It just went through the entire house. The boom and the house shaking were instantaneous. And I immediately ran upstairs to check on my son. He told me that the sky had lit up as well. WHAT DID YOUR SON SAY IN DETAIL THAT HE SAW? He saw the whole sky had just lit up with a bright light. IT WASN’T LIGHTNING AND THUNDER? No, definitely not! And upstairs, he said that he saw the light a split second before the boom. HE SAW THE WHOLE SKY LIGHT UP A SECOND BEFORE THE MASSIVE BOOM? AND THE BOOM, YOU SAID IN YOUR EMAIL TO ME, WAS AT 11:15 PM ON THE NIGHT OF OCTOBER 7, 2017, IN CAIRNS? That’s correct. It was a few minutes before I rung the police and my phone said 11:23 PM for that call (to police). YOU HAVE NOW GONE TO YOUR SON AND YOUR SON IS TELLING YOU THAT HE SAW THE WHOLE SKY LIGHT UP. DID HE SAY WHAT COLOR? He said it was white. I think he might have said with a dash of yellow, but it was just mainly white. AND THEN, AT 11:23 PM ON YOUR CELL PHONE, YOU CALLED THE POLICE. TELL US ABOUT EVERYTHING THAT YOU SAID AND WHAT THEY SAID. I talked to a police officer and told him that I heard the boom after a sky flash and it sounded like a bomb had actually gone off. And I thought it was close to my house. And after a minute of describing the explosion, the flash of light and everything — he (police officer) said other calls were starting to come in. And then I got on to Facebook where other people were starting to report it on there as well. 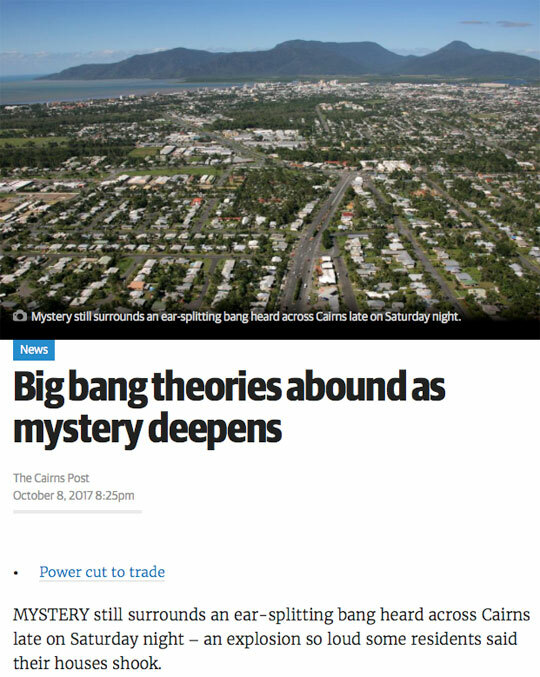 EVERYBODY THROUGHOUT CAIRNS HEARD THIS BIG BOOM? Yes. There were reports from as far north as Kewarra Beach and as far south as Edmonton. We’re in the middle of Cairns. FROM KEWARRA BEACH TO EDMONTON — THAT DOES COVER CAIRNS. From Kewarra Beach north of Cairns to Edmonton in the southeast is about 32 miles by highways. 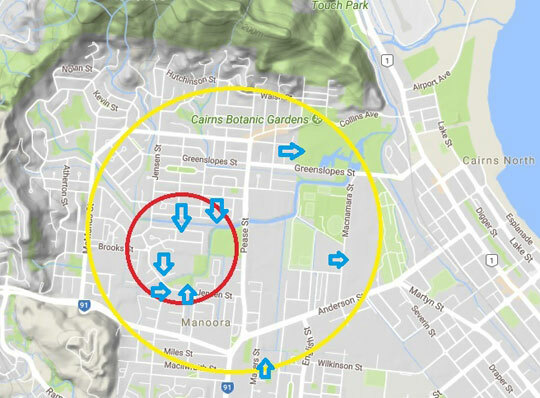 In the middle of the above map, the larger red circle between the Cairns Botanic Gardens and downtown Cairns was where Cairns boom and light flash investigator Zane Cosgrove says most of the resident reports were concentrated. He made the map below and used blue arrows to point in the directions that eyewitnesses described the bright light flash before the bomb-like boom that followed immediately after the flash. 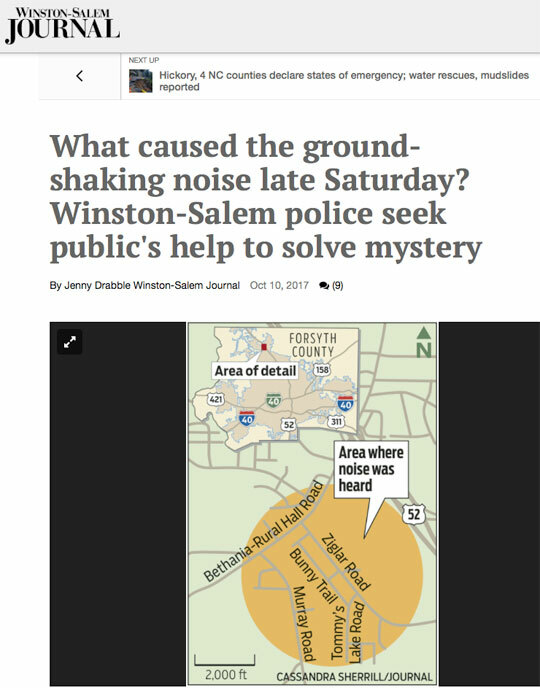 WHAT I’M ALSO FASCINATED WITH THAT YOU MIGHT NOT KNOW IS THAT ON SATURDAY IN U. S. TIME THAT IN WINSTON-SALEM, NORTH CAROLINA, THE POLICE RECEIVED CALLS FROM PEOPLE REPORTING A MASSIVE BOOM AND HOUSES SHAKING, FRAMED PICTURES FALLING OFF OF WALLS ONTO THE FLOORS. 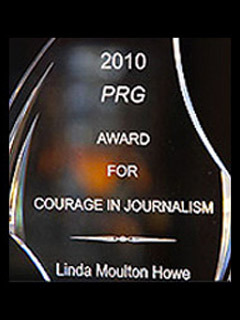 THE POLICE HAVE GONE TO AIRPORTS, TO SEISMOLOGISTS, TO INDUSTRY AND THERE HAS BEEN NO EXPLANATION. AND IT IS SO SIMILAR TO WHAT HAPPENED IN CAIRNS IS WHAT HAPPENED IN WINSTON-SALEM, NORTH CAROLINA, ABOUT THE SAME TIME. Winston-Salem Journal, October 10, 2017, Winston-Salem, North Carolina. 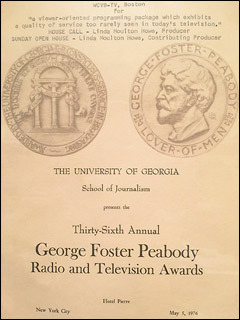 Fourteen hours after Rebecca and her son were alarmed by the huge boom and flash of light, the phone started ringing at the Winston-Salem, North Carolina, Police Department in the United States. There it was 10:45 PM Eastern on Saturday night, October 7, 2017. A week later, I was able to interview the department’s Field Commander of Dayshift officers, Lt. Steve Osborne. I asked him what callers were reporting the night of October 7th? 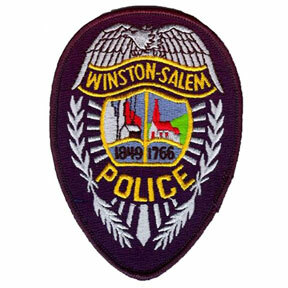 Lt. Steve Osborne, Winston-Salem Police Department, Field Commander of Dayshift Officers, Winston-Salem, North Carolina: “Some people reported hearing a loud boom. Some people reported feeling their houses and the ground shaking. Other people reported their pictures coming off the walls in their houses while also hearing a boom. And some people reported all of that. AT THE POLICE DEPARTMENT, WHAT HAPPENED? At the Police Department, they (callers) were giving the locations where it was happening and it was basically in the northwestern corner of the city — about a two-mile area. It’s the Tommy’s Lake Road to Bethania-Rural Hall Road area. This is not a usual call that the Winston-Salem Police Department goes on. So one of the first things we do rather than just the general check of the area to make sure it was not a transformer blown or some sort of electrical issue or some sort of major crash. Sometimes a crash will make loud sounds that causes calls like this such as a tractor trailer or larger vehicle. Also seismic activities and things of that nature. And honestly everywhere we turned, we didn’t find any evidence of anything other than what the reports were coming from the citizens. AND WHAT ABOUT GETTING IN TOUCH WITH A USGS SCIENTIST TO SEE IF THERE HAD BEEN A QUAKE IN THE AREA? The airport (Smith Reynolds) typically coordinates that information in this area. We didn’t see any seismic activity coming out of the geographic instruments that were at the airport. Honestly, at that point, we were more concerned about something in the air causing it because we didn’t have any record of seismic activity from them. OK, SO YOU WERE CONCERNED ABOUT THE AIR, MEANING SOMETHING LIKE A SONIC BOOM OR? Well, that’s one of the reports that actually came in was that it sounded like a sonic boom, a low-altitude sonic boom. That’s what we were more worried about than anything. That’s the only thing that really made sense at the time. BUT DID YOU GET ANY CONFIRMATION FROM THE SMITH REYNOLDS AIRPORT OR ANY PLACE? Both Smith Reynolds Airport and Greensboro’s Piedmont Triad Int’l. Airport (PTI) — both airports told us that they did not have any aircraft in the area. We also checked with the city landfill, which is also very close to there. The city landfill is actually within a couple of miles of that. And not that we had any reason to suspect it, but there’s always a concern for methane gas whenever you are dealing with a landfill type facility. So we did check with them and it actually took a couple of days for them to check their entire property to see if they could find any evidence of a methane-type rupture or explosion and they didn’t find anything either. SO IT WAS THEIR SATURDAY NIGHT AND THEN THIS WAS SATURDAY IN WINSTON-SALEM. BUT THERE IS THAT TIME DIFFERENCE. THEIR SATURDAY NIGHT WOULD HAVE PRECEDED YOUR SATURDAY NIGHT BY APPROXIMATELY 14 HOURS. THEN IT GOES THROUGH WHAT THE POLICE THERE DID – THEY CHECKED WITH AIRPORTS, FIREFIGHTERS, PARAMEDICS, VARIOUS INDUSTRIES, AND NOTHING HAS BEEN AN ANSWER THERE EITHER. IT’S SO INTERESTING THAT THE SAME TYPE OF THING HAPPENED ON THE SAME DATE, BUT IN TWO DIFFERENT HEMISPHERES! 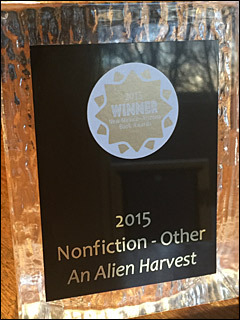 If Earthfiles viewers and listeners experience hearing an unexplained massive boom with a bright sky flash, please email: [email protected] All requests for anonymity are honored. 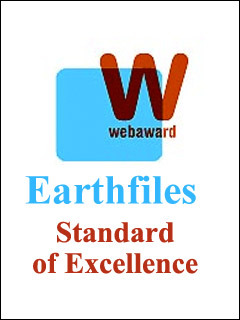 For further information about mysterious, unexplained worldwide booms and light flashes, please see reports in the Earthfiles Archive organized in chronological order from 1999 to 2016 ongoing of which a few are listed here. Next PostNext Bloodless Mutilation of Cats, Rabbits and Foxes Ongoing in U. K.